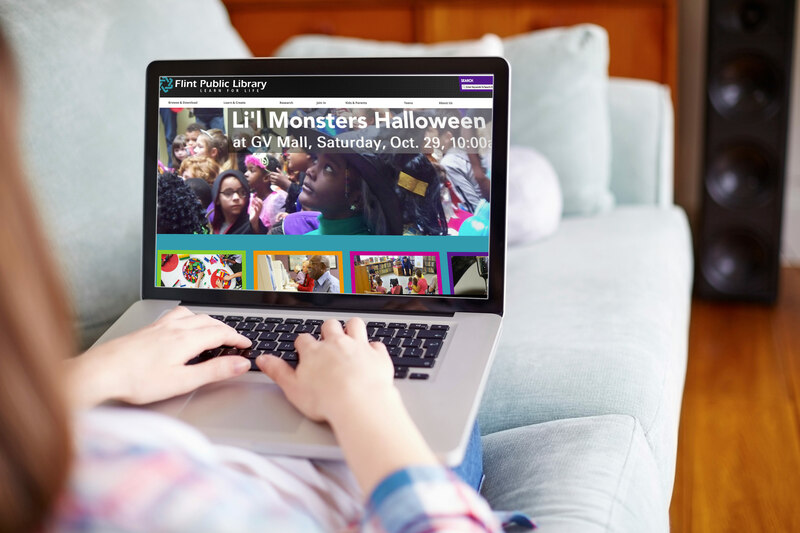 Flint Public Library had a website that was built quite some time ago and they were dealing with a couple of issues with it. First, the design of the site was old, worn out, and didn’t reflect the Library’s brand positioning. Secondly, there wasn’t a content management system (CMS) on the old site so maintaining the site was really difficult and time-consuming. And, the third component of this project was the information architecture which had gotten way out of hand on the old site making it near impossible to find anything. This project was a true collaboration with the staff at Flint Public Library playing a very integral role throughout the design and development process. Everyone was very in tune with the branding requirements, content needs, and the goals that each department had for this project. 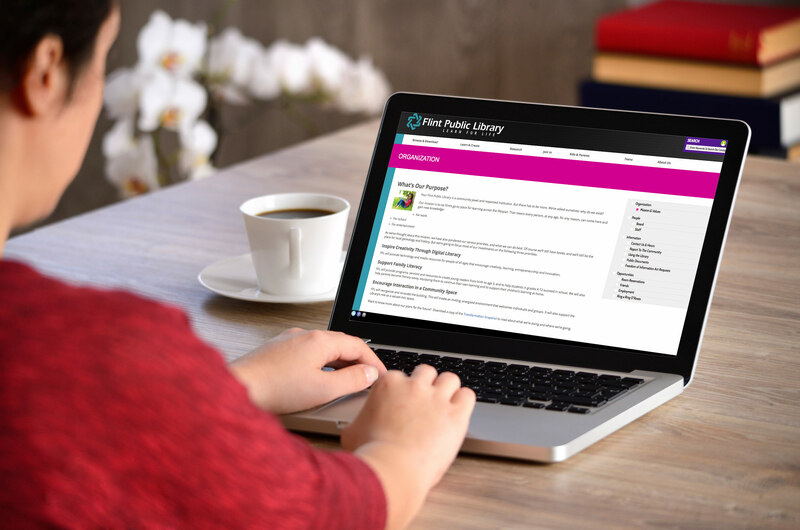 In the end the Flint Public Library has a new website that they are thrilled with, the users are demonstrating a very high increase in the content that is being consumed, because of the improved information architecture, and the staff are really enjoying the content management system of the new site.